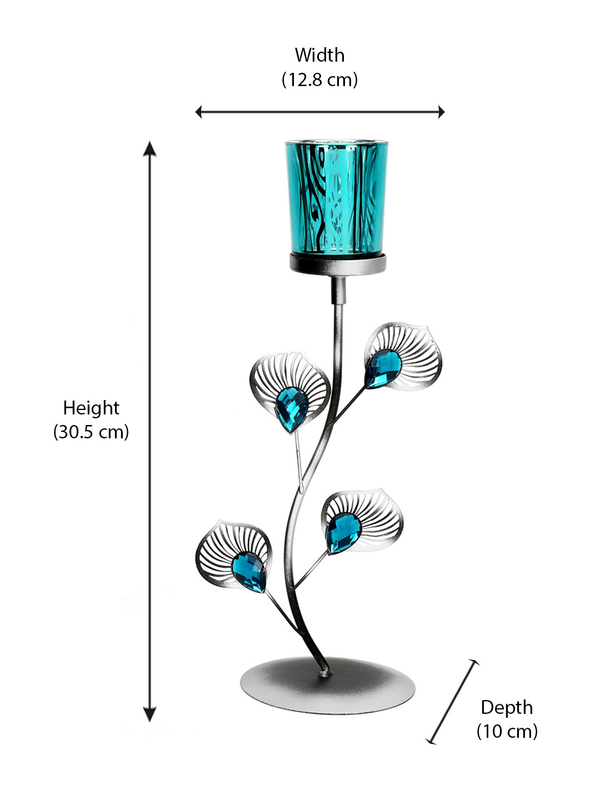 Complement those fresh flowers on the table with the dazzling Peacock Votive Stand. May it be; a dinner date or a movie night, the votive stand is here to make any given occasion a memorable one for you. The subtle rays of the candle disperse from the holder, creating a magical sight in the dark. The delicate detailing of the peacock feathers adds on to the elegance, making the Votive stand a true piece of art. Get the eccentric work of art to embellish your home and life with grace and charm.